• As a foreign customer/purchaser, if you suffer losses due to damages caused by products that you bought from China, you may bring claim against the manufacturer or the seller under the PRC laws based on contractual relationship or infringement act. • Initiating a claim based on contractual relationship or based on infringement act has different features under the PRC laws, which would be introduced to you under this publication. Along with the developing of manufacture industry of China, many products manufactured in China are exported to foreign countries. Among those China-made products, there are high-quality products, as well as products that have defects. When these China-made products cause damages to foreign customers/purchasers, how to pursue the liabilities of the responsible parties is becoming a matter of concern to more and more foreign customers/purchasers or commercial insurance companies who obtain subrogation right from the insured who have the right to pursue the liabilities of the responsible parties. In this publication, we will discuss the main points that you may need to know if you, as a foreign customer/purchaser or a commercial insurance company, wants to pursue liabilities against the responsible parties in China for damages caused by products. We assume you choose PRC law as the governing law of your contract (if any). (i) Based on contractual relationship. If you purchase products from a PRC manufacturer or seller via an international sales and purchase contract and suffer losses due to damages caused by the products, it may not be difficult for you to identify the party that you want to sue based on the contractual relationship, which would be the opposite party to your contract. (ii) Based on infringement act. If you suffer damages because of product defects and do not have direct contractual relationship with the responsible PRC party, or, if you have contractual relationship with the responsible PRC party, but you choose not to pursue liability against the responsible party based on contracts, you may pursue liability against the responsible PRC party based on the infringement act of such PRC party according to the PRC laws. In particular, you may sue the manufacturer or the seller of the products. As a foreign party, you may find it is not very easy to track down the manufacturer or the seller or the products. 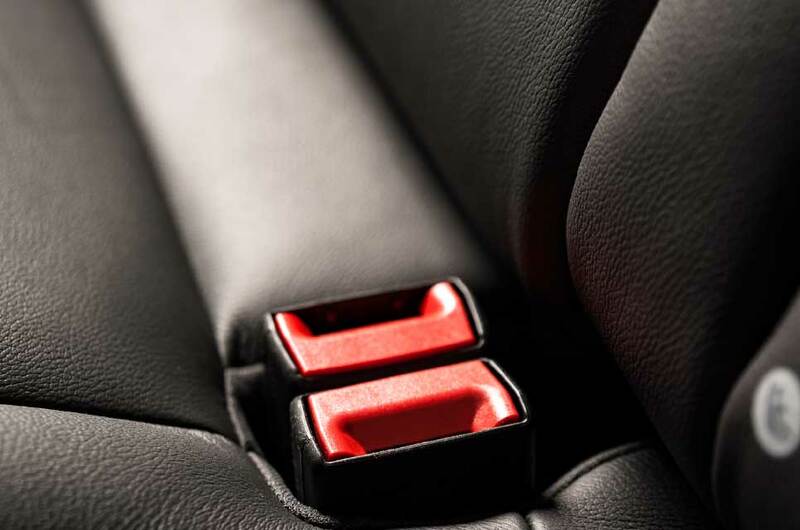 Below we set out some information that may help you identify the manufacturer or the seller. Under the PRC laws, any enterprise or individual who puts its name, trademark or any other mark which may identify itself from others on the products, showing it is the manufacturer of the product, shall be deemed as the manufacturer of the product. As indicated by PRC judicial precedents, in practice, if products are manufactured by a party who is entrusted by another party who marks its trademark on the products, the manufacturer usually shall be the party who marks its trademark on the products, other than the entrusted party who actually made the products. In addition, the PRC laws may set out specific definition of manufacturer or seller in specific industry. For example, the PRC laws set specific definition for manufacturer of household automobiles. Under the circumstance that you do not have a direct contract with the PRC seller, you may identify the seller by other kind of evidence, such as invoice, receipt, etc. It may also be useful to investigate on the manufacturer/Seller to be able to identify its location, size, legal entity in case of multi-layer companies, assets etc… in order to assess the chance of engaging a law suit against said manufacturer/Seller. Under the PRC laws, if you, as a foreign party, have a contract with a PRC party, you may first choose the applicable law to the contract. Since you are to pursue liabilities against a PRC party, and you may need to apply to enforce any effective court verdict or arbitration award against the PRC party if necessary, we suggest that you choose the PRC laws as applicable law to the contract. 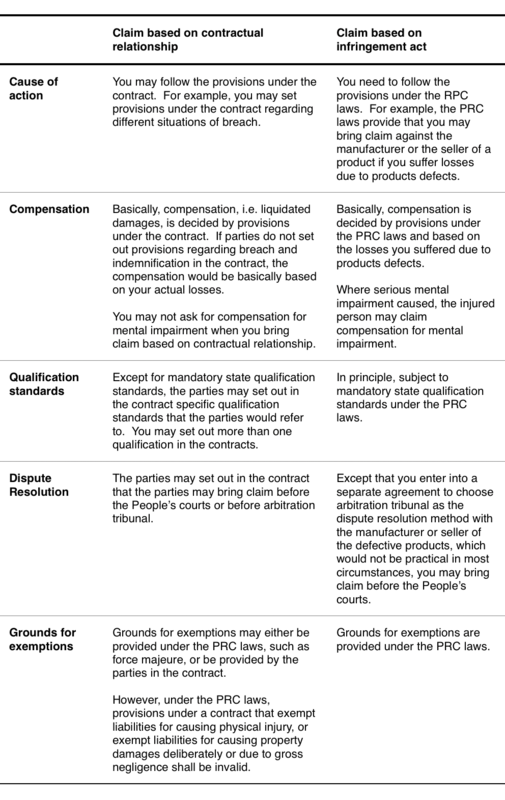 Under the PRC laws, as to a contractual dispute, you may choose and set out either arbitration or litigation as dispute resolution method in the contract. Under the RPC laws, the parties to a contractual dispute may agree in writing to be subject to the jurisdiction of the People’s court at the place having connection with the dispute, such as where the defendant is domiciled, where the contract is performed, where the contract is signed, where the plaintiff is domiciled or where the subject matter is located, etc., provided that such agreement does not violate the provisions of the PRC laws regarding court-level jurisdictions and exclusive jurisdictions. If you ordered products via Internet, the place where you receive the products may be deemed as the place where the contract is performed. If you did not choose any specific court in your contract, you may always bring claim out of contractual dispute before the People’s court where the defendant is located or where the contract is performed. Under the PRC laws, parties may also enter into an arbitration agreement or clause, and go for arbitration when disputes arise. c. Choice of dispute resolution mechanism. Under the RPC laws, if parties choose to resolve disputes through arbitration, the parties can no longer resolve disputes through litigation except that the arbitration agreement or clause is invalid. In light of features of arbitration, such as the confidentiality, possibility to choose the arbitrators and arbitration language, relatively short procedure, impartiality, etc., usually, we suggest arbitration as the dispute resolution method for our client. To sue the PRC manufacturer or the PRC seller of the defective products based on their infringement act, generally, you may bring claim before the People’s court where the PRC manufacturer or the PRC seller are domiciled, or where the infringement act occurred. As to the domicile of the PRC manufacturer or seller, under the PRC Laws, the domicile of a citizen refers to the address of his/her household registration, and the domicile of a company refers to the place where the main office of the company is located. Where the main office of a company cannot be determined, the registered address of the company would be the domicile thereof. As to the place where the infringement act occurred, under the PRC laws, it includes the place where the infringement act was performed and the place where results of the infringement happened. 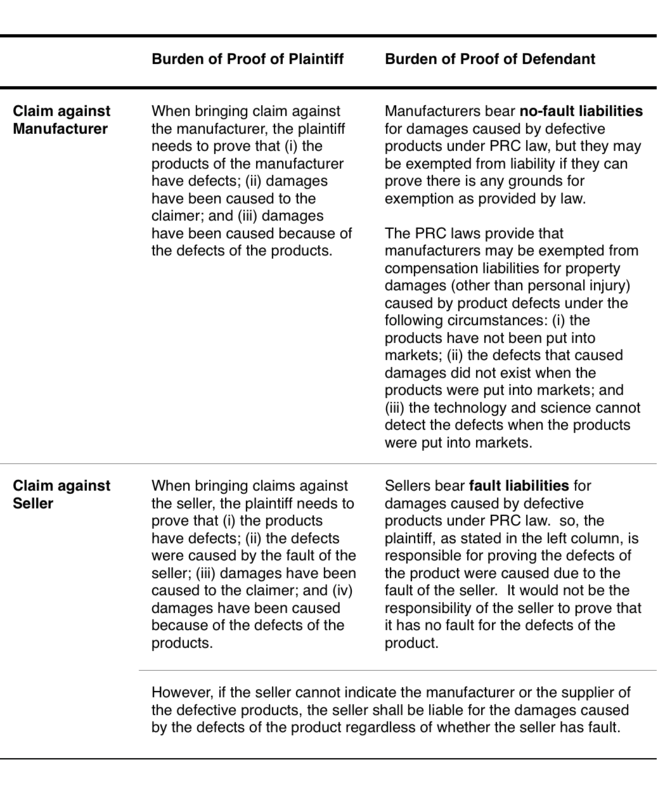 Except for the places mentioned above, the PRC laws further provide that you may bring litigation concerning property damage or personal injury resulting from products or services with unqualified quality before the People’s courts where the products are manufactured, where the products are sold, or where the services are provided. Usually, you may suffer damages from defective products in your own country. Since you may want to bring claim before any competent RPC court where property of the defendant is located for ease of future enforcement, the court where domicile of defendant is located may usually be a preferred option for you to bring claim with. If you decide to resolve dispute with the relevant PRC party based on your contract, in most circumstances, the basic points that you may need to prove are that (i) there is a contractual relationship exists between you and the PRC party; (ii) the RPC party violates the contract; and (iii) damages have been caused due to the breach of the PRC party. We set out below the main burden of proof that you (as plaintiff) and the PRC manufacturer/seller (as defendant) would need to bear under the PRC laws. Under the PRC laws, products defects refer to the unreasonable dangers existing in the products that threaten the personal safety or safety of the property of others; where there are national or trade standards for ensuring human health and personal or property safety that are applicable to the products, products defects refer to nonconformity to the standards. As to how to prove the existence of product defects, there are no particular provisions in this regard under the PRC laws. 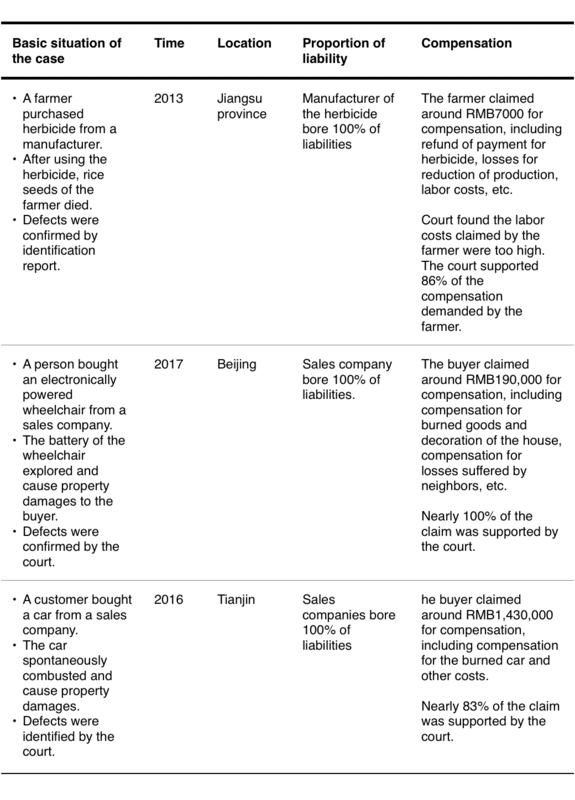 According to judicial precedents of the PRC courts, different courts may have different criteria for determining whether the plaintiff has proved that there is any product defect. Some courts hold a point of view that a plaintiff only needs to provide very basic materials to indicate that there are problems with the products that have caused damages to the plaintiff, without requiring the plaintiff to submit any identification report at the first place. The plaintiff may apply for identification with the court during the proceedings if necessary. While, some other courts hold a point of view that a plaintiff needs to provide identification report to prove the existence of product defects. In principle, identification reports should be issued by PRC qualified identification institutes. You may check and find appropriate qualified identification institutes in a national judicial institute database (http://www.sfjdml.com/web/). However, we also find some cases showing that some courts accept identification report issued by institutes without qualification but having authority in some particular respects, such as fire stations. If an identification report is issued by a foreign institute, it seems that there is no unified requirements on such kind of foreign identification report. Even though some courts accept reports that are certificated and notarized by the PRC embassy in such country, while some other courts do not accept report issued by foreign institutes without certification or notarization made by PRC embassy in such country, it cannot be ascertained whether certification and notarization by PRC embassy would be a mandatory requirement, because we also find some cases show that some courts accept foreign identification report issued by foreign chamber of commerce without being certified or notarized by the RPC embassy in such foreign country. To summarize, to strengthen the evidence, we understand that it may be advisable for you to prepare an identification report on product defects if possible when you bring a claim before courts. If you entrust any foreign identification institute to identify any product defects, you may have the report certified and/or notarized by the RPC embassy in such foreign country if possible; if you entrust any PRC identification institute to identify any products defects, you may choose a qualified institute in the national database. If you pursue liability of the PRC party based on contractual relationship, the compensation that you may claim would be basically based on the provisions in the contract, especially the provisions regarding breach and indemnification. In such case, to protect your interests, you may provide explicitly in the contract the specific liquidated damages for breach of contract. You may also set different liquidated damages standard for different breaching event. But, you may not set liquidated damages infinitely high. Under the PRC laws, liquidated damages shall be basically consistent with the losses suffered by the observant party. If the liquidated damages are much higher than your losses, the breaching party may request for an appropriate reduction of the liquidated damages with the People’s court or arbitration tribunal. While, if the liquidated damages are lower than your losses, you may also quest for an increase of the liquidated damages. Anyway, the request for increase or reduction of liquidated damages will be subject to the discretion of the People’s court or arbitration tribunal. If you do not set up specific liquidated damages standard in your contract, you may also claim for compensation based on your losses according to the PRC Contract Law. In principle, the clearer the provisions regarding compensation/liquidated damages/breach are set in the contract, the more protection that you may obtain when disputes occur. To protect your interests, we set out below some important provisions that may need your attention, which are advisable to be set as clear as possible. You may provide explicitly in the contract the quality standards for the products. Under the PRC laws, there are state compulsory standards for products and state recommended standards for products. If the products purchased by you are governed by state compulsory standard, the quality of the products shall be at least subject to the state compulsory standard. In such case, you may also specify the applicable state compulsory standard in your contract for purpose of clarity. If the products purchased by you are not governed by state compulsory standard, you may specify the state recommended standard or any other mutually agreed standard (PRC standard / international standard / standard of your own country, etc.) in the contract. Since your country may also have state qualification standard for the products purchased by you, you may also consider whether the qualification standard set out in the contract meet the requirements of your own country. You may provide explicitly in the contract the mutually agreed third-party identification institute that is to identify whether the quality of the products is consistent with the quality standard in the contract when relevant disputes occur. In such case, you may avoid further dispute on choosing a third-party identification institute when disputes really occur. You may provide explicitly in the contract the warranty period for the products. You may also provide in the contract that if there is any mandatory warranty period for the products under the PRC laws, such mandatory warranty period shall be the minimum warranty period for the products. You may provide explicitly in the contract the compensation standard for any products recall event. If you have to recall the products according to the laws of your country or any other reasons, but you do not provide explicitly in the contract the quality standard, the mutual accepted third-party identification institute, the warranty period, the recall events and corresponding compensation standards, etc., your interests may not be well protected. Therefore, it is advisable that you specify the different situation of products recall events, and the different corresponding compensation standards in your contract. Below, we refer to some precedents of PRC courts regarding products recall in international sales and purchase of goods for your reference. In this case, a Turkish purchaser ordered and imported telephones from a Chinese manufacturer via an international goods sales contract. After the Turkish purchaser sold and distributed the telephones in market of Turkey, competent Turkish government authority demanded recall of all the telephones since the telephones do not comply with relevant provisions regarding electronic equipment under the Turkish laws. The Turkish purchaser brought claim before the People’s court in China. The main claim of the Turkish purchaser is to request the PRC manufacturer to refund the payment for goods. In this case, since the parties do not set out relevant provisions regarding quality standard, recall event, or compensation standard, which made it hard to determine that the RPC manufacturer shall bear 100% liabilities, the court at last decided that both parties were liable for the damages. The PRC manufacturer shall bear 60% of the liabilities and refund 60% of the payment to the Turkish purchaser. In this case, a Danish company purchased and imported electric scooters from a PRC manufacturer via international goods sales contract. The Danish company alleged that 90% of products sold in the market of Denmark were returned or complained by Danish customers, so the Danish company was forced to recall all the products. The Danish company brought claim before the People’s court against the PRC manufacturer. The Danish company claimed that the PRC company breached the contract fundamentally and requested the PRC company to fund payment of goods. The parties did not set out a mutually agreed third-party identification institute and relevant provisions regarding this kind of recall and specific definition of fundamental breach in the contract. In this case, the Danish company unilaterally entrusted an identification institute to inspect the products, and alleged that the products had defects. The PRC manufacturer did not accept the report issued by such unilaterally entrusted identification institute. Other evidence and statements presented by the Danish company did not provide sufficient basis for the court to determine that the PRC manufacturer breached the contract fundamentally. Finally, the court rejected the claim of the Danish company. From the above-mentioned two cases, you may be more aware of the importance of a clear and comprehensive contract for protecting your interests. The above-mentioned provisions are important provisions but not all the provisions that need your attention. To protect your best interests, it is advisable that you prepare any important international sales and purchase contract with the help of legal professionals. (iii) Based on infringement act. If you pursue liability of responsible parties based on infringement act, the compensation that you may claim for would be basically subject to relevant provisions under the PRC laws. 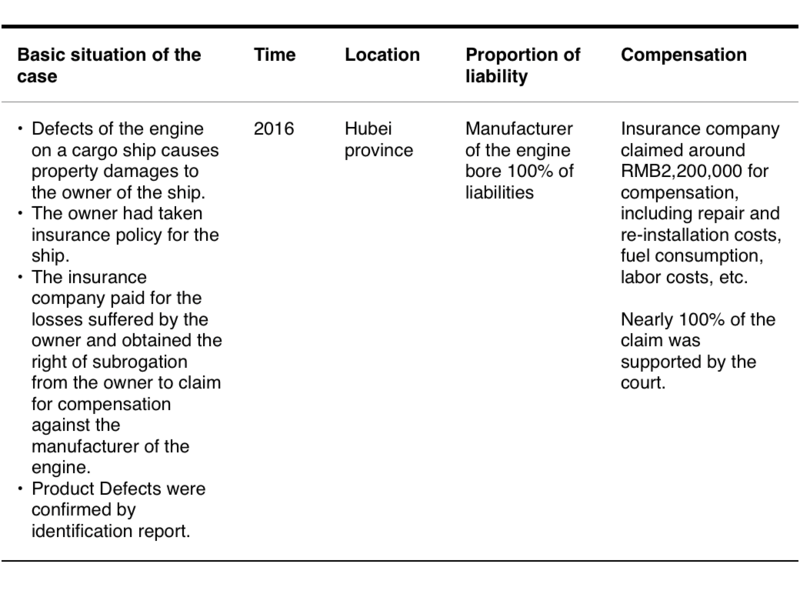 We set out below the compensation that you may claim for under the PRC laws when you suffer personal or property damages due to defective products. If you suffered physical injury that caused by the defects of a product, under the PRC laws, the liable party shall pay medical expenses, nursing expenses during medical treatment, income losses due to absence from work, etc. If physical injury leads to disability, the liable party shall also pay the expenses for self-supporting equipment, living allowances, disability compensation and the living expenses necessary for those under the support of the injured person, etc. If the injured person dies, the party liable shall pay the funeral expenses, compensation for death and the living expenses necessary for those who were sustained by the dead, etc. Where serious mental impairment caused, the injured person may claim compensation for mental impairment. Specific compensation amounts may be different in difference cases. We set out below some data about physical injury compensation in judicial precedents just for your reference. 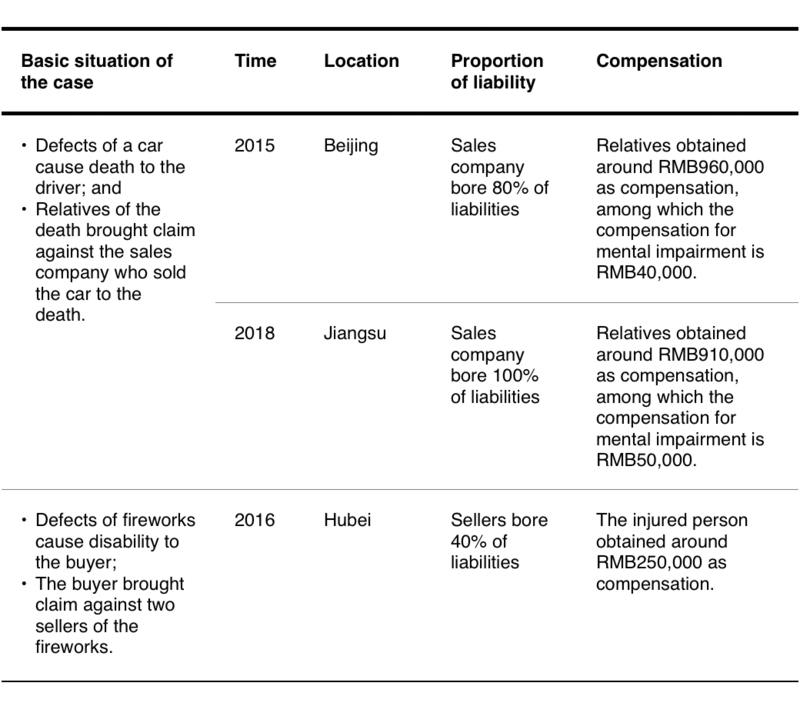 If the defect of a product causes damage to the property of the victim, the party liable shall restore the damaged property to its original state, or pay compensation at the market price. If the victim suffers other major losses, the party liable shall compensate for the losses. Specific compensation amounts may be different in difference cases. We set out below some data about property damage compensation in judicial precedents just for your reference. In principle, in products liabilities lawsuits based on infringement act, whether and to what extent your claim for compensation may be supported by courts would be depended on your evidence. Therefore, if any damages are caused by products, it may be beneficial to you that you well collect evidence with the help of legal professionals. Generally, the statute of limitation for civil claim is 3 years, unless otherwise provided in any other specific laws. Under the PRC laws, different statute of limitation is set for claims based on contractual relationship or infringement act. Based on international goods sales and purchase contract, the statute of limitation for bring claims is 4 years, starting from the date when the claimer concerned knew or should have known that the rights and interests thereof are impaired. In addition, the PRC Contract Law also provides that where the parties have agreed upon the inspection period in the contract, the buyer shall, within the inspection period, give a notice to the seller that the quantity or quality of the subject matter fails to conform to the terms of the contract. If the buyer is negligent in giving such a notice, it shall be deemed that the quantity or quality of the subject matter has conformed to the terms of the contract. Where there is no agreement between the parties in the contract on the inspection period, the buyer shall give a notice to the seller within a reasonable time period after it found or ought to have found that the quantity or quality of subject matter fails to conform to the terms of the contract. If the buyer fails to give a notice within such reasonable time period or within two years as of the date of receiving the subject matter, it shall be deemed that the quantity or quality of the subject matter has conformed to the terms of the contract. However, if there is a quality guarantee period for the subject matter, the said quality guarantee period shall apply instead of the above said two years. Where the seller knew or ought to have known that the subject matter to be provided does not conform to the terms of the contract, the buyer is not subject to the time limit for notification as aforesaid mentioned. To summarize, according to the PRC laws, you should check the goods and see if the quantity or quality of the goods meet the contract provisions within a period agreed by you and the seller or within a period provided by law. If you fail to check goods or inform the seller within certain period, the goods may be deemed as meeting the contract provisions. The statute of limitation for you to bring a claim out of an international goods sales and purchase contract is still 4 years, which means you may bring the claim, but you may not succeed in claiming the goods to be defective if you fail to check goods or inform the seller according to the aforesaid provisions. Based on infringement act, the statute of limitation for claiming compensation for damages due to defects of products is 2 years, starting from the date when the claimer concerned knew or should have known that the rights and interests thereof are impaired. The right to claim compensation for damages caused by defects of products shall be void 10 years after the defective products were delivered to the first-hand consumer, except where the specified safe period for use has not expired. VI. Subrogation Right of Insurance Company. In case any commercial insurance company pays insurance benefit to any insured for damages caused by defective products, and the insured has the right to purse the liability of the manufacturer or seller under the PRC laws, the insurance company is entitled to the subrogation right to claim compensation against the manufacturer or seller under PRC laws. We set out below a relevant case for your reference. The PRC Criminal Law sets out several kinds of crimes regarding manufacturing and/or selling poor quality products, fake products, products that do not meet national standards, etc., and causing serious consequences. For example, Article 140 of the Criminal Law provides that if any manufacturer or seller sells faked products, or poor-quality products, etc., with the sales amount reaching RMB50,000, such manufacture or seller may be liable for criminal liability. Article 146 of the Criminal Law and other relevant regulations provide that if any entity manufactures appliances, flammable and explosive products, etc. that do not meet national or industrial standards, and causing serious injury or death to individuals, or causing over RMB100,000 of economic damages, or causing other serious consequences, such entity may be subject to criminal liability. 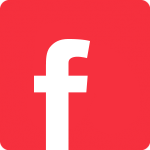 Specific punishment may be subject to specific situation of each case, varies from fine, detention, fixed-term imprisonment, or life imprisonment. If you believe certain manufacturer or seller may bear criminal liability under the PRC laws, you may report such case to the PRC police department or procuratorate with the help of legal professionals. If any criminal case is filed by PRC procuratorate with courts, you may file your civil claims together with the public prosecution brought by the PRC procuratorate. In principle, under the PRC laws, if you have a contract with the manufacturer or the seller of products, you may choose to bring claim either based on contractual relationship or based on infringement act. If you do not have a contract with the manufacturer or the seller of products, you may only be able to bring claim based on infringement act. Below we set out some main difference between these two kinds of dispute resolution methods. We hope this publication would be helpful when you suffer any damages due to defective products. ASIALLIANS and its partner law firm WANG JING & CO. has extended expertise and experience in product liability cases. Please contact us for further assessment of your case.